Rogers Fire Department is currently hiring for Firefighter/EMT or Firefighter/Paramedic - Entry Level. All testing must be completed by 10pm on February 14, 2016. This position requires both FireTEAM testing through National Testing Network (NTN) and CPAT certificates. Department Information: The Rogers Fire Department is a progressive agency that proudly provides full-spectrum emergency services to the citizens and visitors of Rogers. We are very active in the community and provide educational sessions throughout the year. We emphasize safety and modern tactics to carry out our missions. Our seven fire companies operate with a minimum of three highly qualified personnel each. Our impressive fleet provides all of our members with the latest in safety features and firefighting capabilities. We respond from seven stations to several thousand emergencies each year. Our staff consists of 117 sworn and 4 civilian positions. All members are educated and highly trained in multiple emergency disciplines. 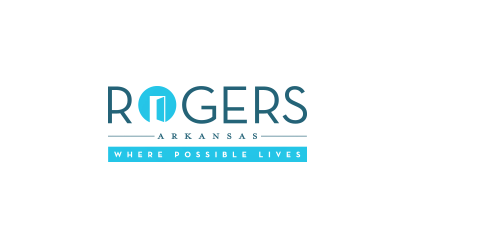 Area Information: Rogers is centrally located within Benton County and is the host to the region’s most active economy. Life outside of work is always enjoyable here. Northwest Arkansas is recognized as the sixth fastest growing metropolitan area in the United States. If you enjoy modern amenities, we have a vibrant nightlife with many activities, restaurants, and pubs to choose from. The city is host to many nationally recognized bands and other singing groups. Professional baseball is a short drive to our neighbors in Springdale where the Arkansas Naturals compete in AA baseball. 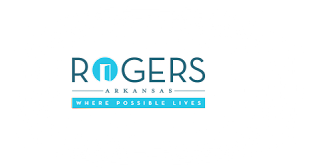 Rogers is home to the Arkansas Music Pavilion, a first class indoor/outdoor amphitheater. Outdoor recreation is abundant with over 30 miles of biking and hiking trails. We are also home to several golf courses. Camping and water recreation are available at Beaver Lake, which touches the east side of town. Many other state parks are within a very short drive. Vision: Vision must be within parameters established in NFPA Standard 1852. Currently possess, or have ability to obtain through reciprocity, an Arkansas EMT or Paramedic License. National EMT or Paramedic Certification is preferred. Felony, Criminal Activity Disqualifiers: Any felony conviction. Drug Use Disqualifiers: Any felony conviction. Must satisfactorily pass pre-employment drug screen. To schedule FireTEAM testing, go to http://www.nationaltestingnetwork.com and click on FIREFIGHTER JOB. Select the department and read over all the requirements and if qualified, select a testing location and a time and date for testing on the website calendar. For questions concerning the testing process, contact NTN Customer Support at 866-563-3882. For updates and new job announcements, “Like” National Testing Network on Facebook.